In our personal longings for the fullness of life, often a mysterious cry for maternal love springs from the human heart. Is it possible that a spiritual mother could allay the tears and fears of the people of the third millennium? In the sixteenth century, Our Lady of Guadalupe miraculously appeared to a poor little man named Juan Diego. Through her motherly love, she offered him great consolation. Her appearance and miracles lead to the conversion of millions of indigenous people. But does Our Lady of Guadalupe have any relevance to the people of the third millennium? Does her message of salvation and peace cross cultural barriers or is she only the Mother of Mexico? Is she as Pope John Paul II said, "The Mother of America?" 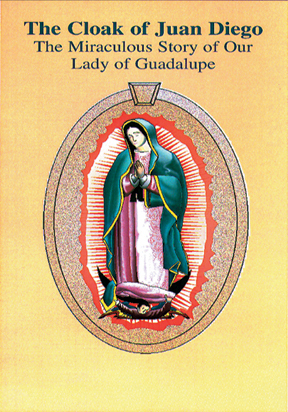 Our Lady of Guadalupe, Mother of America explores the significance of the Blessed Mother's appearances to St. Juan Diego. 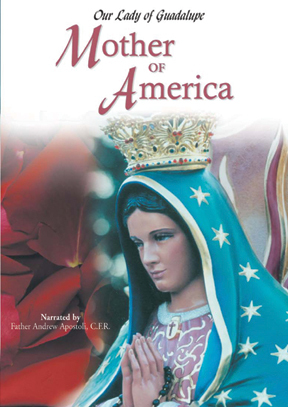 This documentary proposes that Our Lady of Guadalupe is the answer for all Americans who are seeking peace, the good things in life and even eternal life. In Our Lady of Guadalupe, Mother of America, you'll experience the feast day of Mary in Mexico City: exuberant Aztec song and dance, mariachis, contemporary music, heartfelt interviews and insightful words from Church leaders. You'll see the creation of an exquisite work of art: a nine-foot statue of Our Lady of Guadalupe that is the focal point of a new shrine in the United States. And you'll witness how Our Lady of Guadalupe is touching many hearts beyond the borders of Mexico. Our Lady of Guadalupe, Mother of America is convincing evidence of the necessity of the Mother of God within the Christian faith. 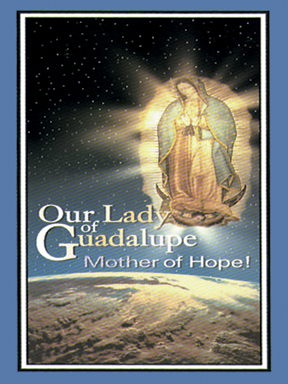 This insightful film, made for television, tells the story of the appearance of Our Lady of Guadalupe to the humble Aztec Juan Diego in Mexico in 1531. It vividly portrays the rich faith of the Mexican people and the great devotion at the Shrine of Our Lady of Guadalupe where Juan Diego°s cloak still hangs with the miraculous image of Mary imprinted on it. the modern era. An enthralling story and an essential devotion for our times! Book Sale Price: $9.00 TAN - 143 Pp. PB. 53 Illus.